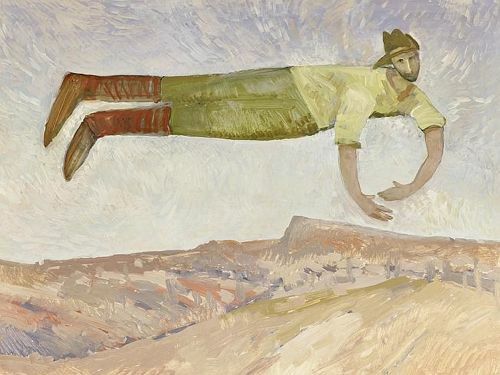 The Sydney landscape painter Idris Murphy has won the Gallipoli Art Prize this year for his touching painting inspired by the letters his grandfather, a soldier in the First World War, wrote to the woman who would become Murphy’s grandmother. The painting, ‘Gallipoli Evening 2013’ (above), depicts a solitary tree against a rich golden backdrop of Gallipoli’s crumbling cliffs. 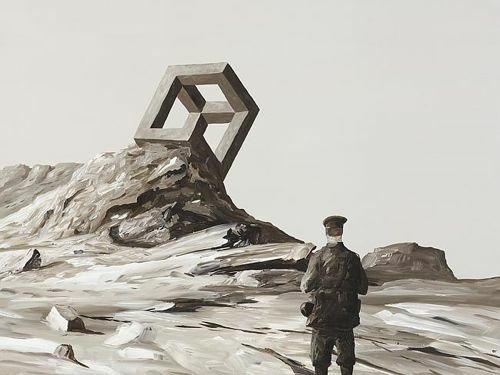 Murphy was awarded a prize of $20,000 for the painting, whose title, he says, is a metaphor for ‘the melancholy of walking on bones against the surprise of Gallipoli being so beautiful’. 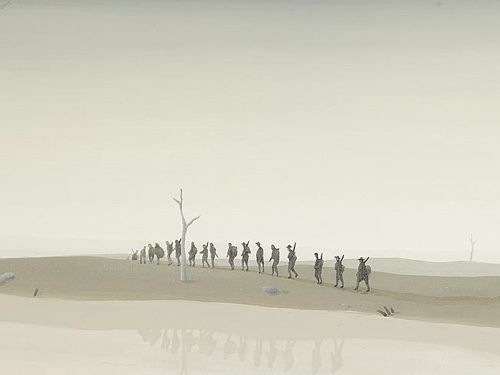 This Anzac Day he made the journey to Gallipoli again, along with some of Australia’s other top artists, to paint more works for a centenary exhibition entitled My Friend the Enemy. 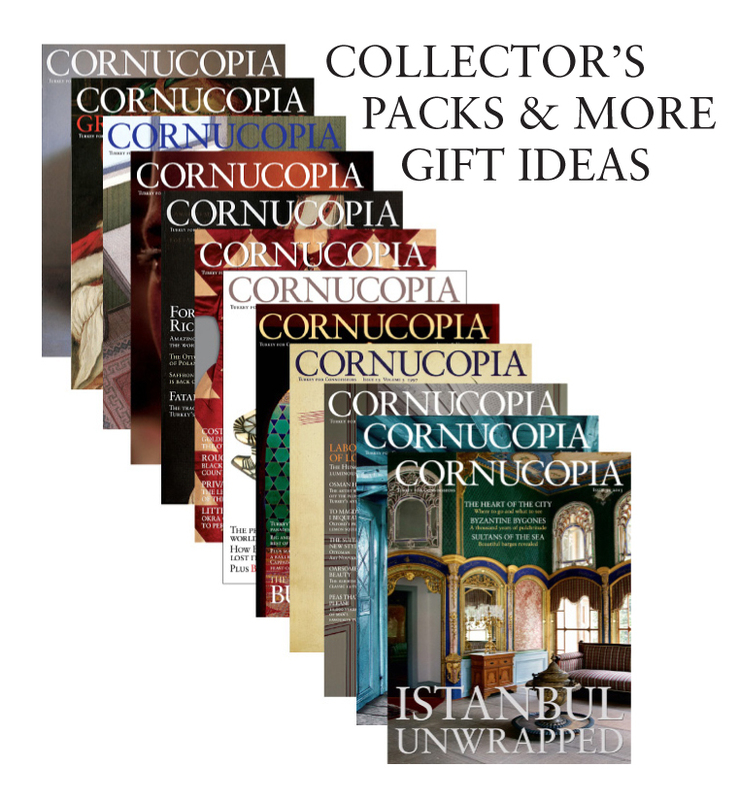 Thirty-seven finalists were selected from a total of 166 entries (the most the prize has ever received) from Australian, New Zealand and Turkish artists. The prize was established to reward the work that best exemplifies the Gallipoli virtues of ‘mateship, respect, loyalty and comradeship’. Next year – to mark the 10th anniversary of the prize and the 100th of the Gallipoli Campaign – it will be awarded for the last time. 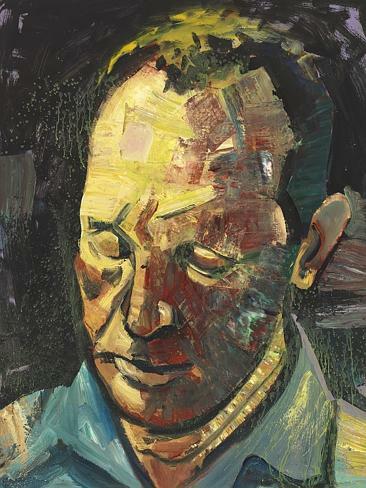 Highly commended was Glen Preece’s work ‘Soldier – Flight to Heaven’ (above). Also commended was Hugh Ramag for ‘R.E. as a Digger’ (above). The finalists’ works are highly imaginative and span many different styles and moods. I particularly like Ben Tankard’s ‘Impossible Object’ (above). 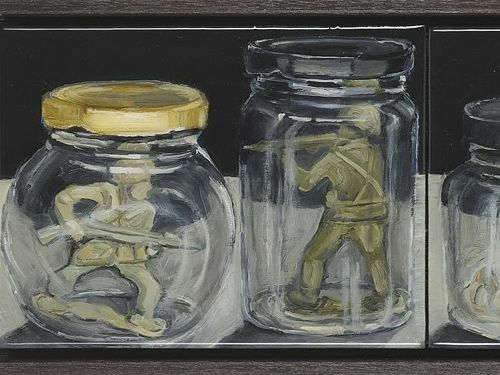 Alison Mackay’s ‘Battlefields’ is a poignant depiction of the trivialisation of war – toy soldiers stuck in glass jars. The lack of colour in Max Berry’s ‘Reprieve’ gives it an almost caricaturist edge and is quietly effective. 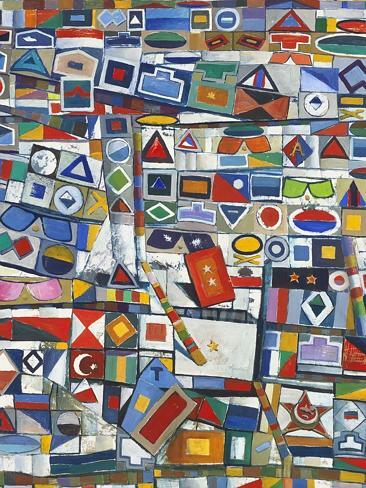 In a different vein, Hadyn Wilson’s ‘Gallipoli Patches’ is a colourful portrayal of a soldier’s honour. The most Turkish offering is Daniel Pilipczyk’s ‘The Atatürk Aniti’ (above). 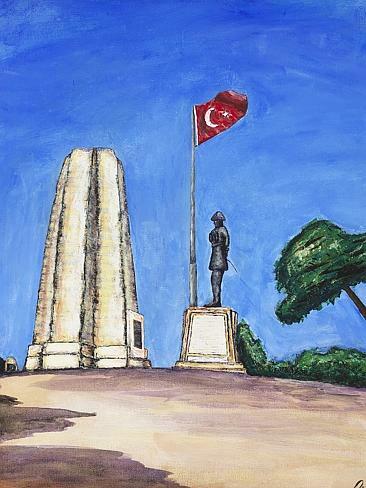 The winner’s and finalists’ paintings are on display at the Gallipoli Memorial Club (sponsor of the Prize) in Sydney until May 4, 2014. All images from The Australian. Photos by Sowerby Smith.